The price of a college education isn’t getting any cheaper. If you have or plan to have children, 529 college savings plans are a great investment. Today we’re going to talk about 529 college savings plans. Much like the 401(k) plan, they’re unimaginatively named after the IRS code which gave them life. Why do I have to learn what another IRS code means you ask? Good question. Because if you aren’t independently wealthy, don’t have access to the GI bill, and expect to have to pay for college in the next 10+ years, a 529 Plan will be a major weapon in your arsenal. A 529 is an account designed to help cover the costs of higher education. The more common kind is an investment account that operates a lot like your 401(k) or IRA. You put money into it, select from the available investment options, and don’t touch the money until the allotted time. The biggest benefit is that they are tax-advantaged, which means that if you follow the rules, you’re going to pay lower taxes on the money that’s in the plan. Luckily, the rules aren’t that complex. 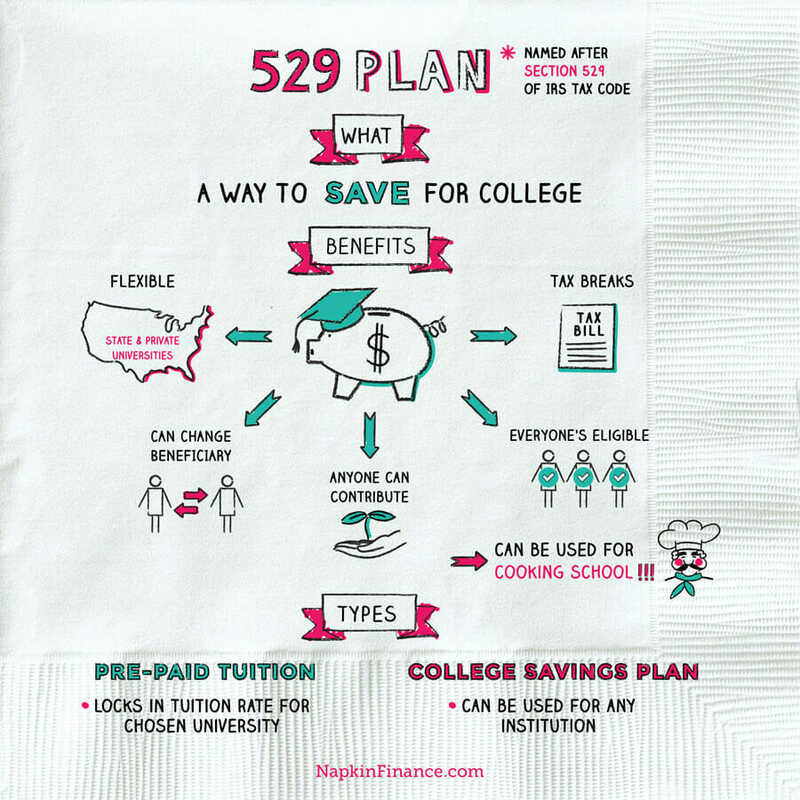 Any growth in a 529 plan can be withdrawn tax-free as long as you spend it on qualified education expenses. Let me repeat that, tax-free. The plans are state-run and most states have their own plan. Morningstar rated them back in 2013 and another cool thing about these plans is that you’re able to select a plan regardless of the state you’re in. About the only thing you need to pay attention to is if your state offers tax deductions for contributing to a 529. Most don’t but if your state does, that’s just another bonus of the plan. If you don’t withdraw the funds to cover eligible expenses, you pay both the tax you’d normally pay on the gains as well as a 10% penalty. There are two types of 529 plans to know about. The first is prepaid. It allows you to lock in current tuition rates. This type of plan is less popular and becoming less common. Pre-paid plans can be used either for in state public schools or for private schools. They do not cover the cost of room and board or books, only tuition and fees. These plans can be quite location restrictive. They can only be used at in-state public institutions. So they’re only recommended if you know for sure that your child will go to a particular school. These can be offered by schools or by the state. The second type of plan is the savings plan and the one I briefly described above that operates like a retirement plan for education funding. These are less guaranteed to cover your costs as they depend on how much money you put in and the returns on the portfolio over the lifetime of the account. However, they are much more flexible because the funds can be withdrawn to cover all educational expenses, including room and board and books, at any school that is eligible for student aid. That means pretty much any college you can name. Did your first kid decide not to go to college even though you had a lot of money in a 529 that listed them as the beneficiary? That’s fine, you can change the beneficiary to your second more academically minded (or less successful artistically) child. No second child? You can change the beneficiary to yourself and go to grad school. Already a multiple PHD with no stomach for more schooling? You can give it to a niece or nephew that you really like. Bogleheads has a nice write up on the kinds of changes the IRS ignores or cares about. Personally, I don’t have a child but plan to in the future so I have a 529 account set up with myself as the beneficiary. You need a social security number to establish a beneficiary so as soon as my kid is born, I’ll change the beneficiary. This lets me start small and gives me a longer runway until I need the funds. You, grandparents, other relatives, friends, and even creepy strangers can contribute to a 529 plan if you give them the information they need. My current one is with Edvest, Wisconsin’s plan. I started the plan when I lived there and it’s ranked as decent by Morningstar. All I have to do is go in to the plan, click a button, and follow the steps. The site has an address book feature, so with minimal effort you can beg a bunch of people via email! Honestly, what one year old will remember the random toy you got them? I’d rather give some money to their college savings plan. It’s like giving a kid bond but with more growth potential and more tax benefits. Imagine if a kid got about $500 per birthday for the first 3 years. You put in $100 a month after that for the next 15 years until they were heading to college with 5% (modest) growth. You would be looking at $30,000 towards their college education! They mention that gifts count towards the maximum account value per beneficiary but that’s a total contribution of $425,000 in this plan so you shouldn’t be asking for more at that point anyway greedy. One nice feature of Edvest is I can track what I’ve put in versus what I received in online contributions. A 529 contribution allows you to move money via gifts while avoiding taxes. Currently, the most you can give per person in gifts while avoiding the gift tax is $14,000. However, with 529 college savings plans, you can frontload the funding by contributing 5 years’ worth of tax-free gifts ($70,000 in this case). This is per person, per recipient, so in theory, a rich couple could put $140,000 in multiple 529 accounts without hitting gift tax thresholds. The money does then go under the control of whoever is controlling the plan, so if you were the one starting a plan, not only could you donate the money but you could retain control over it. As with all investing, start early. Whether or not Einstein actually said it, compound interest is one of the strongest forces in the universe. 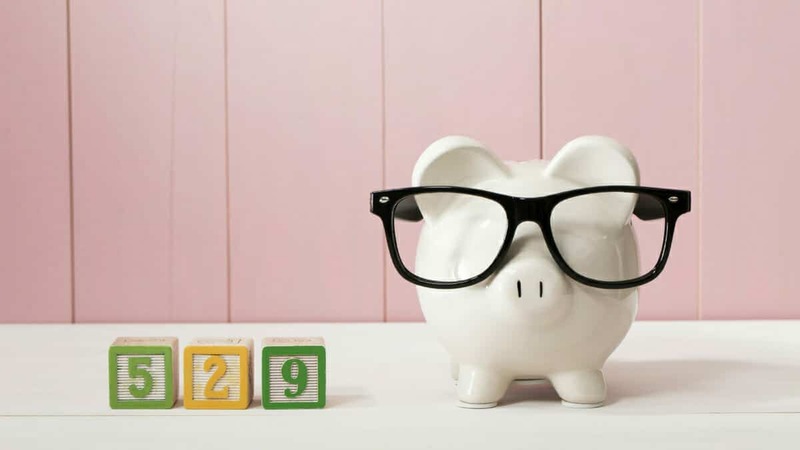 If you start a 529 when your kid is born, you have 17-18 years for that money to grow. Set up the same kind of automated systems you’d use for your own retirement accounts and investments. My personal strategy is to put $100 a month in automatically. If you’re interested in comparing 529 college savings plans because you’re now super excited about college saving,I’d recommend using this tool over at Savingforcollege.com to compare different plans. In general, the IRS website is helpful even when the topics are dense. Here is the link to their 529 Q&A page.